Ready? Let's Create Your Own Product! Do you want to create something new and unique to offer to the market? Are you looking at starting your own business? Want to learn how to further improve and grow your existing retail business? If you answered yes to any of these questions then it’s high time that you get acquainted with our newest workshop series entitled Road to Retail to be launched this January 2015. 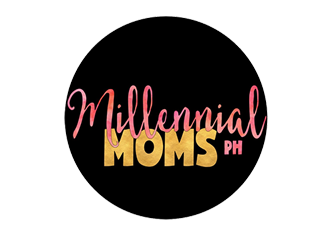 It is a series of valuable, practical and fun workshops under Manila Workshops designed to cater to professionals, business owners and aspiring entrepreneurs of all ages who want to learn about retailing, merchandising, brand management and marketing specifically of non-food products. The series is composed of four whole-day sessions beginning from product conceptualization to launching, selling and marketing, projecting and analyzing your business. 1. Those who wish to go into business but are unsure on how to proceed. 2. Those who like creating products or have an existing idea but need help in implementing them. 3. Individuals who dream of having their own store one day. 4. Existing entrepreneurs with online stores, whether sold via their website, Facebook, Instagram or other platforms. 5. SMEs who would like to learn more on how to better manage inventory and increase their sales and profitability. 6. Aspiring entrepreneurs who would like to know how to consign their products to major retailers such as SM, Rustan’s, Robinson’s, etc. 7. 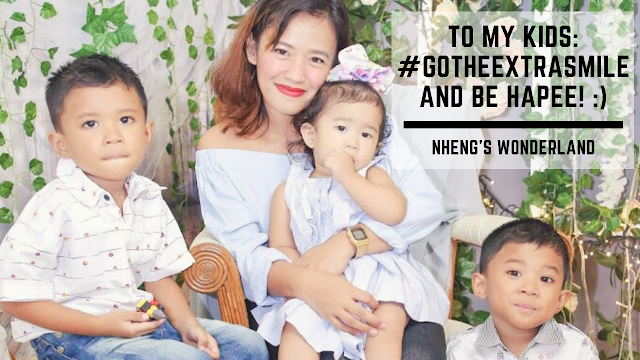 Those who want to bring their business to the next level and expand their market. 8. Those without any business background and would like to take a short course on retail and merchandising. 9. Fresh graduates who want to go into the retail business. 10. Individuals who enjoy learning and would like to acquire valuable skills in the field of merchandising, branding and marketing. 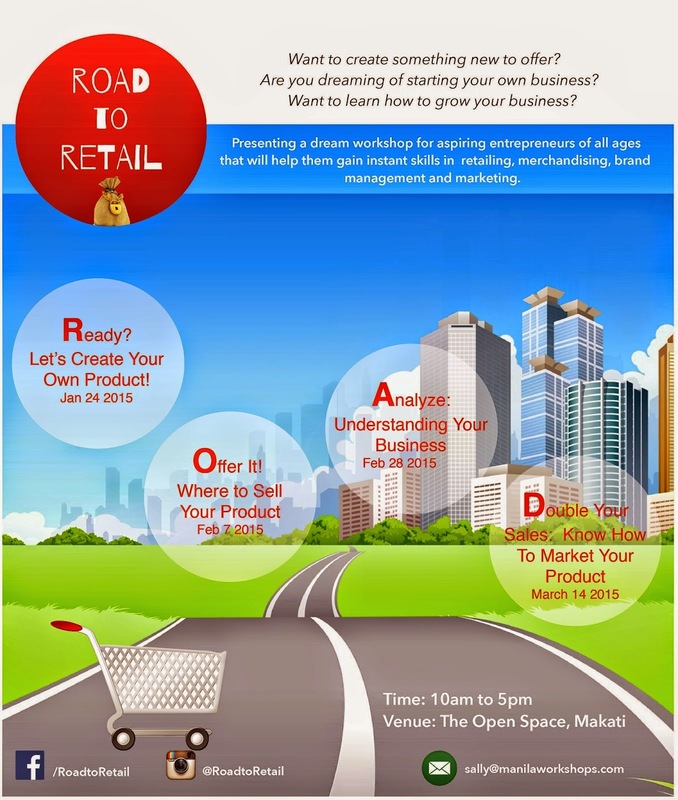 This January 24, 2015 (Saturday), Manila Workshops, in partnership with Road to Retail, present to you the very first workshop in the series entitled “Ready? 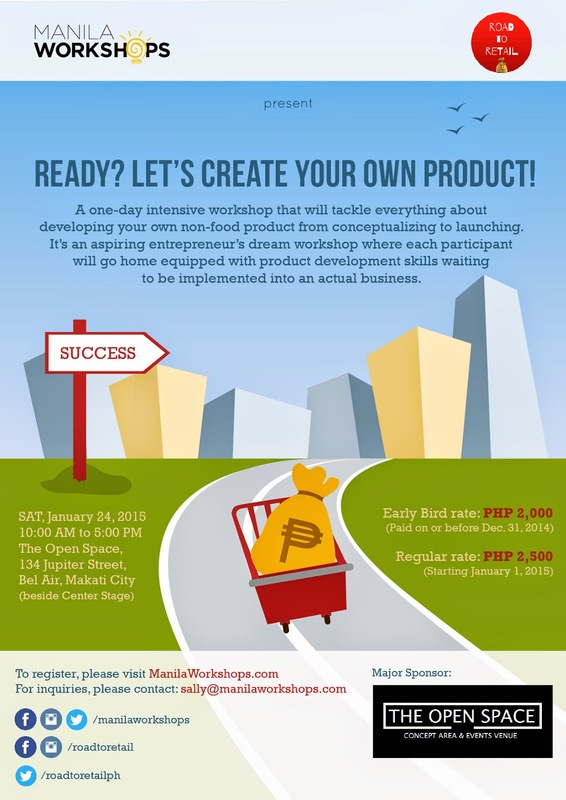 Let’s Create Your Own Product!” The workshop will run from 10:00am up to 5:00pm to be held at The Open Space, 134 Jupiter Street, Bel Air, Makati City. Our speaker for this is Ms. Bam Besa. *Inclusive of hand-outs, certificate, lunch and snacks. Bam Besa’s background is in buying, merchandising and brand management, gathered from over ten years work experience from a buying office and a luxury department store. 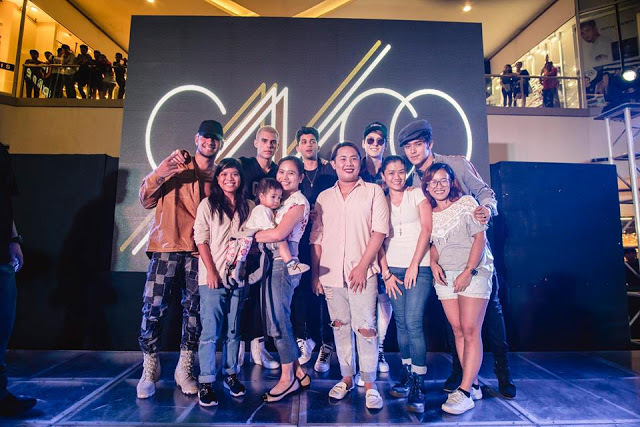 She has handled categories such as ladies apparel, swimwear, fashion jewelry and accessories, undergarments and home décor, covering the most premium and coveted brands in each category. To register, kindly visit this link.